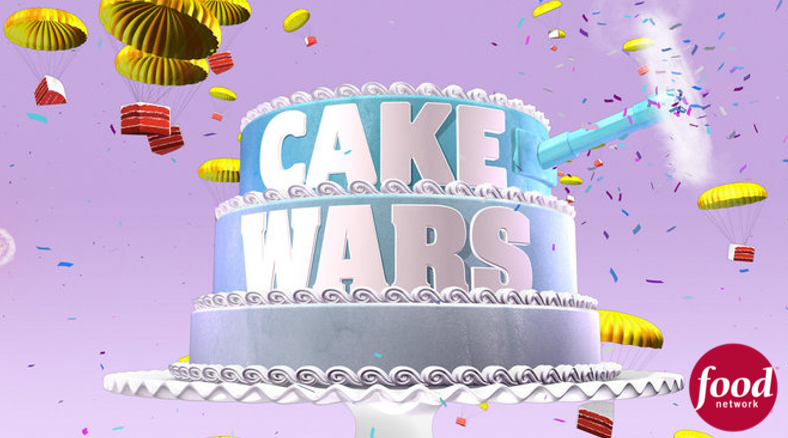 “Cake Wars” is one of several modern-day baking (and cooking) shows that pit professional chefs against one another for various prizes, which in this case means cash and having one’s winning creation appear at a major event. And speaking of the creations, forget about that amazing triple-layer chocolate cake your grandma used to bake for you. In “Cake Wars,” you won’t even think it’s a cake at all, but rather some highly refined 3-D sculpture that is rendered in fascinating, colorful detail. 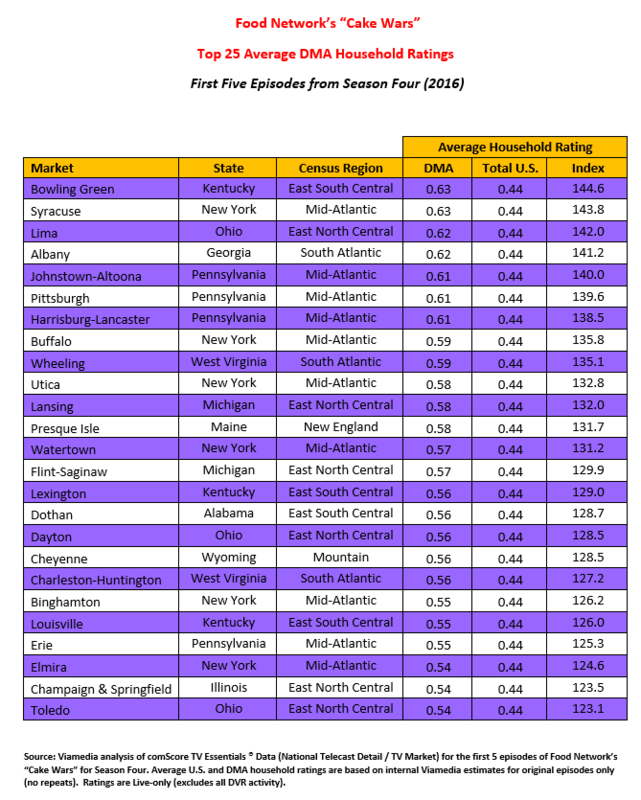 Each episode is built around a particular theme. 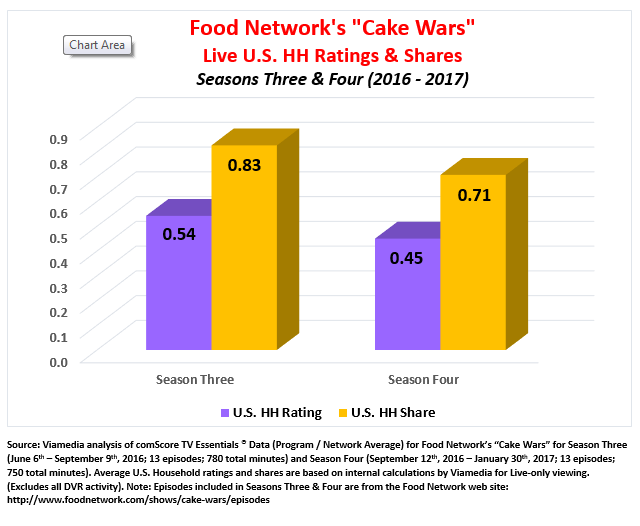 For example, Season Three kicked off with the episode, “Captain America,” in which four cheftestants had 75 minutes to create a dessert utilizing the three most prevalent colors worn by the action-hero -- red, white and blue. The ingredients were laid out on the “inspiration table”: red raspberries and pomegranates, blue corn and blueberries and white onions and coconut. Three of the four cheftestants made it through this preliminary round for the ultimate test – a 4-hour bake off (with assistants) to see who could create the most amazing, dazzling cake built around the theme of “going toe-to-toe” with Captain America. The winning entry became the centerpiece for a fancy gala affair celebrating the 75th anniversary of Captain America. 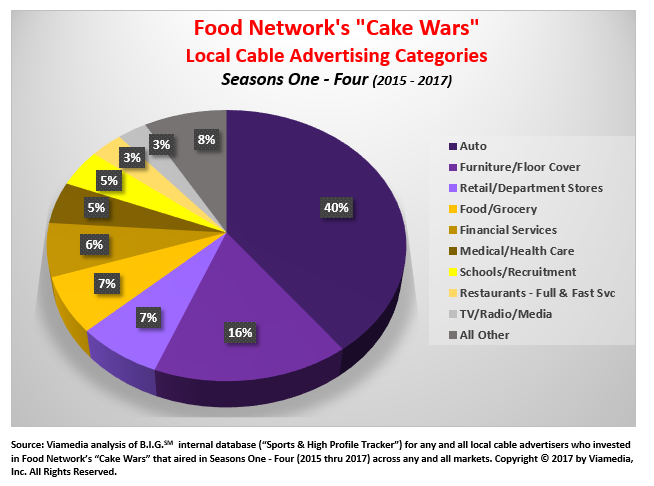 Each episode of “Cake Wars” moves smartly along under the direction of host, Jonathan Bennett, a familiar actor (and former model) from several televisions series. There are also dedicated (and guest) judges dispensing advice, as well as strategically inserted vignettes with the cheftestants. The only issue for the show is whether or not Bravo may have over-baked it a bit, scheduling over 40 new episodes in a 15-month period. Then, again, the show has a plethora of ingredients to draw from in the form of numerous pop culture themes that should keep this show fresh for several more seasons.